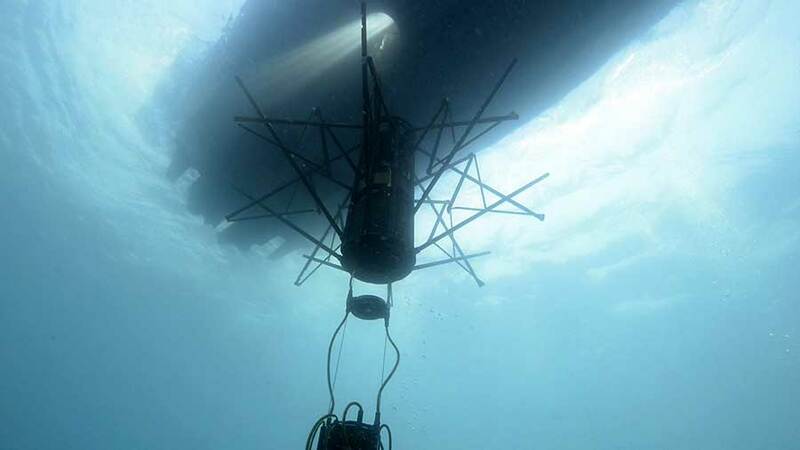 JERUSALEM, Israel (BulgarianMilitary.com) – In a Sea Acceptance Test (SAT) performed by the Israeli Navy, a Helicopter Long-Range Active Sonar (HELRAS) dipping sonar was successfully converted for operation onboard the Seagull, Elbit Systems’ Unmanned Surface Vessel (USV), learned BulgarianMilitary.com. According to Elbit operating a dipping sonar onboard a USV significantly increases the operational working time and substantially enhances that detection capabilities and the effectiveness of Anti-Submarine Warfare (ASW). — Elbit Systems (@ElbitSystemsLtd) 7 февруари 2019 г.
NATO forces deployed the Seagull USV during a Joint Anti-Submarine Warfare (ASW) exercise with the Spanish Navy’s Santa Maria-class frigate “Victoria” and the Royal Navy’s Type-45 HMS Duncan. According to Elbit, the Seagull USV participated in a joint Mine Counter Measure (MCM) exercise between the British Royal Navy and the Israeli Navy in which the Seagull USV was tasked with securing a path for HMS Ocean, the UK helicopter carrier. The Seagull also performed an autonomous end-to-end unmanned Mine Counter Measure (MCM) mission in sea states 5 and 6 in the Belgian North Sea MCM Trials that were conducted at the beginning of June 2017 off the Belgian Zeebrugge Naval Base.